Welcome to Armstrong Farms. Established in 1816, we are a Pennsylvania Century Farm located just 22 miles from Pittsburgh in the historic town of Saxonburg. For nearly all of our almost 200 years, we have raised purebred black angus cattle. Our dedication to and love of the land is part of our heritage and has continued for seven generations. We take great pride in our family farm and have always looked for ways to share it with others. In that spirit, we started our bed and breakfast in 1996. Shortly thereafter, we restored three of our barns to host farm weddings. Each one is located in its own private setting and includes farm houses and a beautiful ceremony site. Fifteen years and hundreds of weddings later, each of our couples has become a truly unique part of our farm’s beautiful story. A farm is a place of quiet beauty, joy and peace…somewhere to relax, reflect and love. 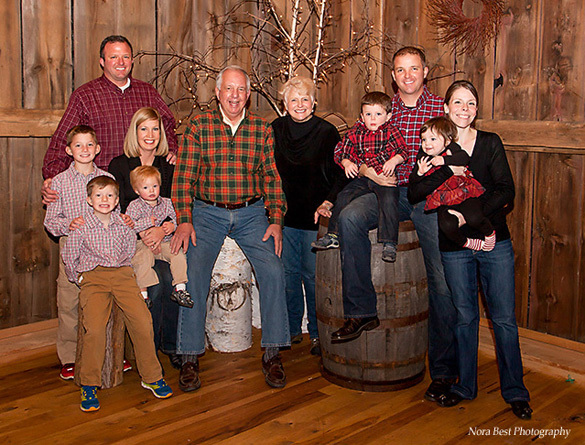 We’re grateful for the opportunity to share our family farm with other families as they embark on an exciting new chapter in their lives.